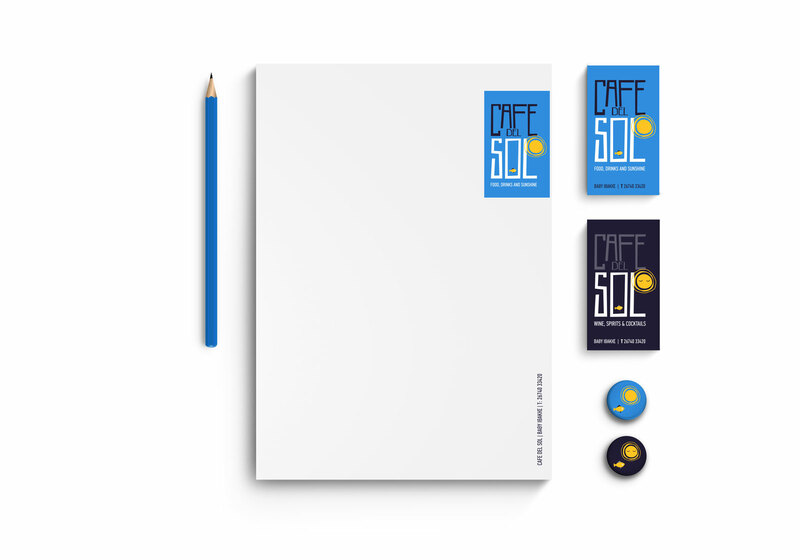 The Brief: To create an identity comprising of a sun, very similar to the doodling of the owner’s daughter, for a relaxing destination offering coffee, snacks, sweets & refreshments in the morning hours and wine, spirits & cocktails in the evening. The Target Consumer: The indigenous population of the island of Ithaca during the winter months and during the summer months, the addition of the traveling tourist, seeking to soak up the sounds and sights of the beautiful Ionian island. 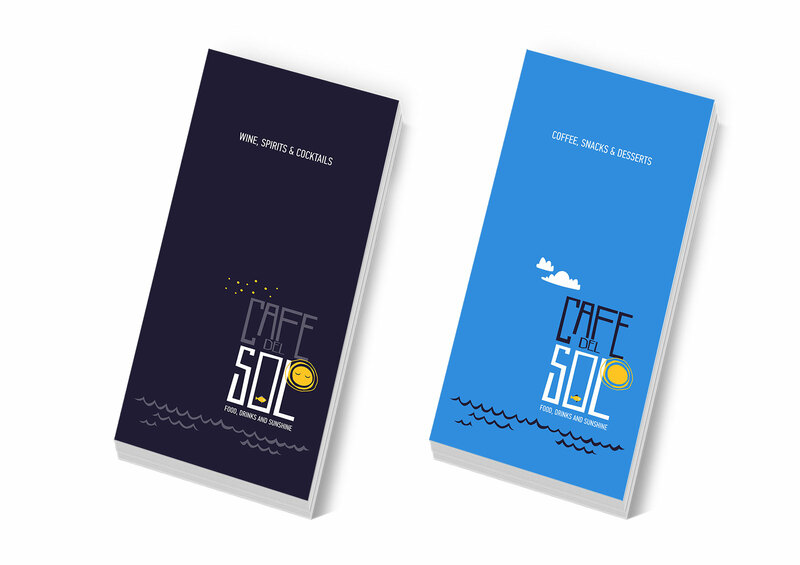 The Creative Concept: The duality of the identity, alternating between day and night. The day character are depicted by the clouds, sun and fish on a turquoise background resembling the clear and fresh waters of the island. The night character is depicted by the stars, sleeping sun, and the fish on a dark blue sea background. The typography that has been used for the logo and all the design material is strict and simultaneously free and has been created by busy-b. 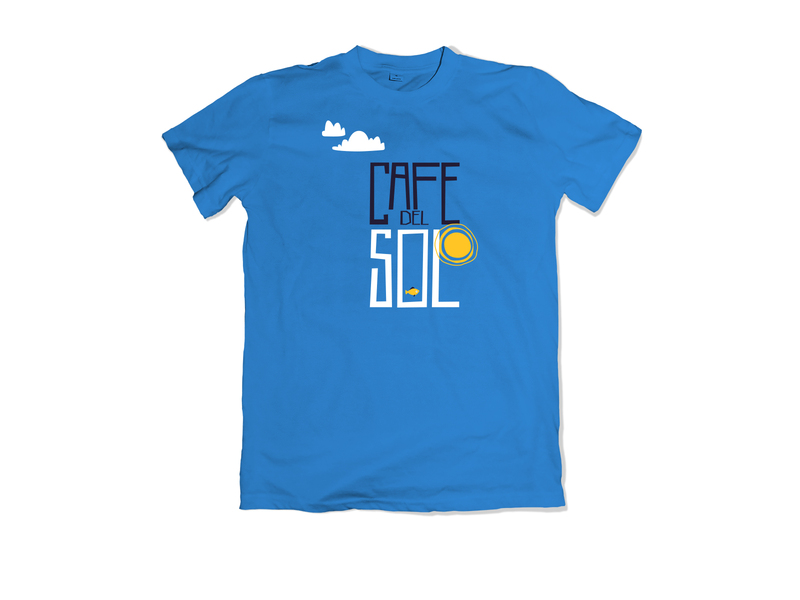 All design material have been produced in the above two aspects of the logo – T-shirts, menu, and business cards.